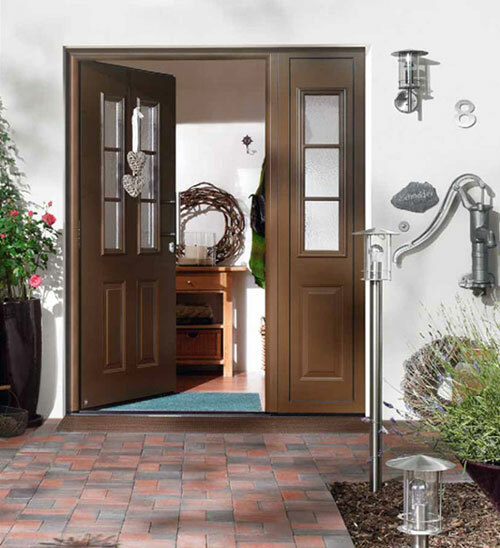 Byron Doors’ steel front entrance doors are built by Hormann and Garador. Europe’s leading door manufacturers they build our steel front entrance doors in a large selection of styles. 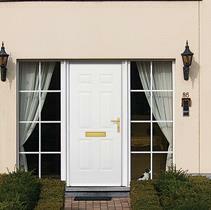 Thanks to standard multipoint locking these inexpensive doors give you a feeling of security. They can save energy through excellent thermal insulation and provide a stylish appearance for your home. 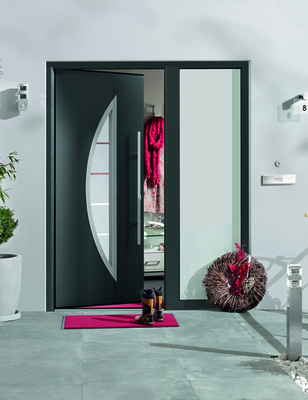 Byron Doors’ steel front entrance doors can be fitted with an electric latch release that can be remotely controlled. It can even be controlled via a finger print scanner giving a bespoke touch to the safety of your home. All Byron Doors’ steel entrance doors are available in different finishes to meet your specification. Byron Doors offer its great installation service and after-sales care for steel front entrance doors across the following areas.